Hear owner Monica Ryan discuss how she became a leading businessperson in Houston by becoming a Master Plumber and building up the Village Plumbing business. How did it all start? To what does she attribute recent growth and success? What are her motivations? Thank you Matt Register and Jay W. Curry for hosting such an insightful radio show. Imagine being a young woman going from just answering the phones, to running the whole company at age 23! Her dad, the founder, had become ill, and she became the person to take charge and “look important.” She thought it was just going to be 6 weeks. A lot has happened since then! Village was named among the Inc. 5000 Fastest Growing Privately Held Companies in America, 2016. Meet Monica, who has believed in caring for customers from the beginning, and to this day. Monica Ryan- Texas Business Radio from RREA Media on Vimeo. Who Won the 2016 Best of HomeAdvisor Award? Who won? Village Plumbing, that’s who. We’re so very grateful to our customers who made it possible. Thank you. Why did we win? Because we exemplify quality work practices, premier service and are a valued resource for homeowners. Join us today by becoming a Village Partner. Our VPP special is designed to provide you with peace of mind and quality service all year ’round. Click here or call us now at 713-678-0483. You can get started right away by calling Village now. Monica: Hello, how are you doing? I’m Monica. Now, I own Village Plumbing, and Trolyn and Alfredo told me that you needed some work done, and that you were working extra hours to pay for it? Monica: Well, what if we did it for free? Customer: (Surprised)…that would be wonderful. Monica: Well we’d love to help you. I always love to help people that are trying to do something. Customer: That would be wonderful. Customer: I didn’t even get home until like 9:00. I always work extra hours. That would help out immensely. Trolyn: Yeah, that day when I came out, I noticed that you said you were trying to scrape up money. I brought it to my supervisor who came up with the idea that we needed to do something for you. Monica: It’s a good cry. Customer: It is a good cry. Spend time with us in our new showroom on November 4, 2015 from 6-8 pm! Ever wanted to know how to change your own AC filters? Or replace the flush handle on your toilet? 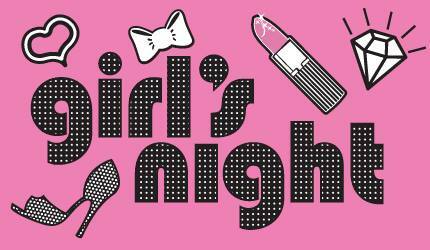 Well Village Plumbing’s “Girls Night Out” comes to the rescue! Join us in our new showroom November 4, 2015 from 6-8 pm for tips (and treats) on basic plumbing and AC repairs you can do all by yourself! Take a break from the kiddos and come on down. Please call (713) 526-1491 to RS.V.P. and register on our Facebook page. We look forward to seeing you there! Learn about plumbing, heating and air conditioning basics. We’ll have refreshments, fun and you can fellowship with other Village customers and staff. This summer, Village Plumbing & Home Services is proud to be endorsed by GardenLine, hosted by KTRH’s Randy Lemmon. It’s refreshing to hear Lemmon speak so highly of Village, but we have all the natural requirements of what GardenLine looks for in a trusted partner: honesty, integrity, reliability, experience, and credibility, plus the kind of how can we help you? customer service you can only find in a company like Village. Unlike most plumbing companies, Village has a beautiful, well stocked showroom to help you dream of your next upgraded kitchen or bathroom, and customers can drop by here on Kirby Drive and get personal assistance. Listen in on some of Randy Lemmon’s show. And this is a partnership that makes sense for both Village and GardenLine. At Village we care about keeping your home beautiful, and prove it by being the cleanest techs in town. We want to leave your home more beautiful than when when we found it walking in, and we use our famous yellow booties to keep your floors clean as we do our work. Call for Randy’s solution for your Gardening question … (713) 526-1491.